Nearly seventy years later it remains a haunting and affecting piece of photo-journalism. 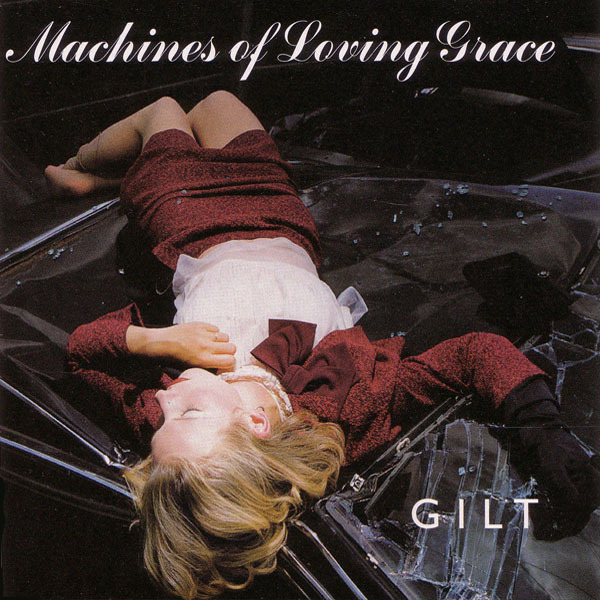 Andy Warhol used it in his art during the 1960s (see here) and the band Machines Of Loving Grace recreated it for their album 1995 GILT. Interestingly, however, it was the only one of Wiles’ pictures ever published. Just what is it that makes this picture so utterly captivating? 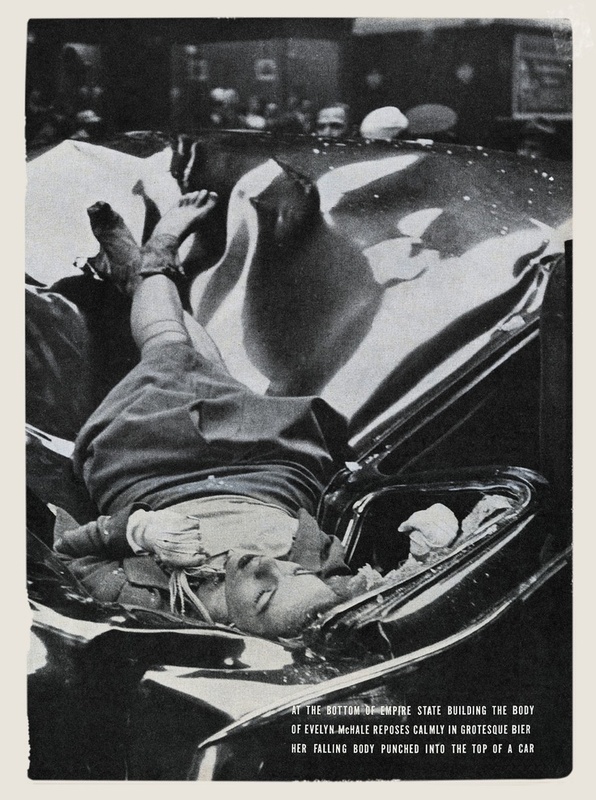 There is an obvious juxtaposition between the violence of the moment (manifested in the destruction of the car beneath her, and the shocked eyes of the spectators) and her seemingly peaceful repose. Her legs look delicately crossed, her dainty gloved fingers curl around her necklace and her face shows no sign of suffering – she could literally be sleeping. Yet small details, such as the stocking torn off her gently crossed leg, reveal a darker story. Although there isn’t much more of a story to tell. No-one really knows why she chose to end her life on that day. 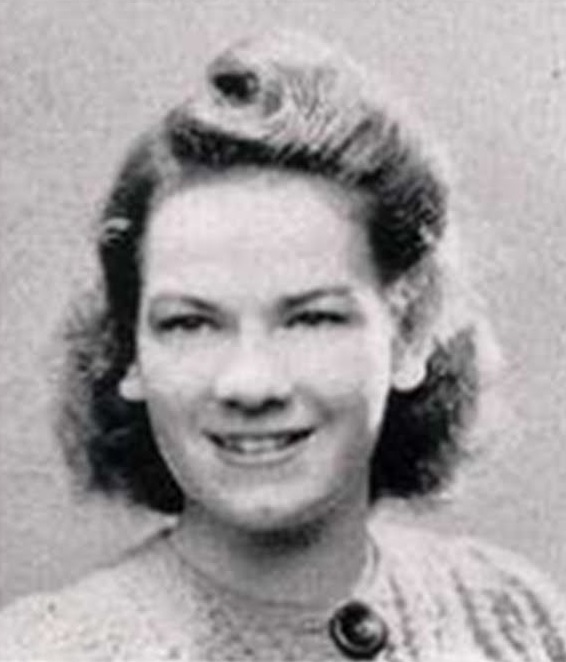 The suicide note, too was particularly poignant, with it’s crossed out lines and allusions to her mother (who had left the family when Evelyn was around 7 years old): “I don’t want anyone in or out of my family to see any part of me. Could you destroy my body by cremation? I beg of you and my family – don’t have any service for me or remembrance for me. My fiance asked me to marry him in June. I don’t think I would make a good wife for anybody. He is much better off without me. Tell my father, I have too many of my mother’s tendencies.” It was found on the observation deck wall, along with her coat, a makeup compact and a handbag. One can only assume she was perhaps suffering from a clinical depression or mental illness that her mother, too, had suffered – and it makes Evelyn’s death at such a young age just that bit more tragic. Her apparent composure masked the reality of her death. One site says, “According to reports she essentially “fell apart” when they moved her body. Her insides were basically liquefied.” She was however, identified by her sister and cremated as she requested in her note. There is no grave. For more information on the real story, take a look at Lauren Ann Rice’s blog as she is researching it thoroughly for an upcoming book and is the expert on the topic. My interest lies instead in the almost beatification of the dead female, and in fact one site describes Evelyn as lying “in a halo made of blood”. The beautiful corpse has been discussed on this blog previously in my posts on fashion shoots using models who appear dead (like the above which was for America’s Top Model. More info/pics here.) Yet I think many would agree Evelyn’s picture has more in common with the serene images of tragic Pre-Raphaelite women than any of these shoots. In these modern images the models look forced and uncomfortable, graceless and vapid. Perhaps photographers are chasing the ‘Evelyn Effect’ with no luck? The difference with the image of Evelyn is that she hasn’t been posed and she hasn’t been painted; she’s a spontaneous manifestation of this archetype which is perhaps why she speaks to our subconscious so successfully. For example, we can certainly appreciate the beauty of a Botticelli painting or a magnificent building – things which are man made – but we don’t feel the same sense of awe as we do when we witness an incredible sunset. It’s the impromptu and fleeting nature of the visual gift which makes it such a marvel. 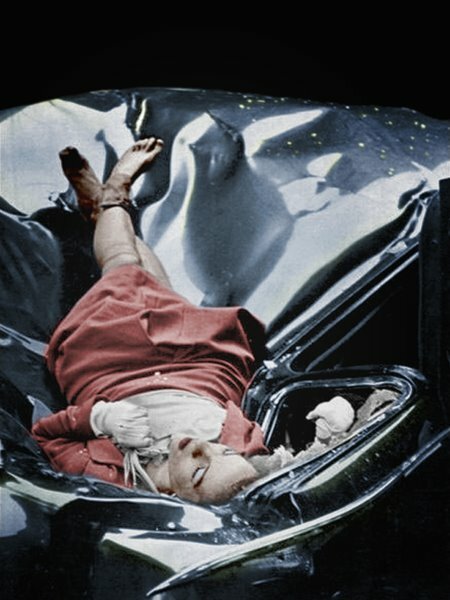 Evelyn McHale will go down in history as something akin to a fallen angel, as poignant and iconic as Marilyn Monroe or Elizabeth Short. It strikes me that as she took that final step, certainly the last thing she imagined was that the image of her dead self would become the cultural artifact it seems to have become. This was a super-interesting and beautifully written post. Thanks! I’m guessing that there’s a common fallacy about suicide, that it’s generally considered an act of drawn-out planning. The distance from her last kiss to her death might make us wonder, did she come to this choice and complete this act in an irresistible rush? Life is hard and all of us go through bad moments, when we feel like either we or the world may be better off without us. This sad story, the possible link to her mother makes us appreciate the human condition. Or it should. I have tried 2 times. PTSD..pain..injuries .associated with combat related events. These crush you down till it becomes unbearable. Thanks to science…psychology…psychiatry..hepl is available to you only if you are willing to get the help.